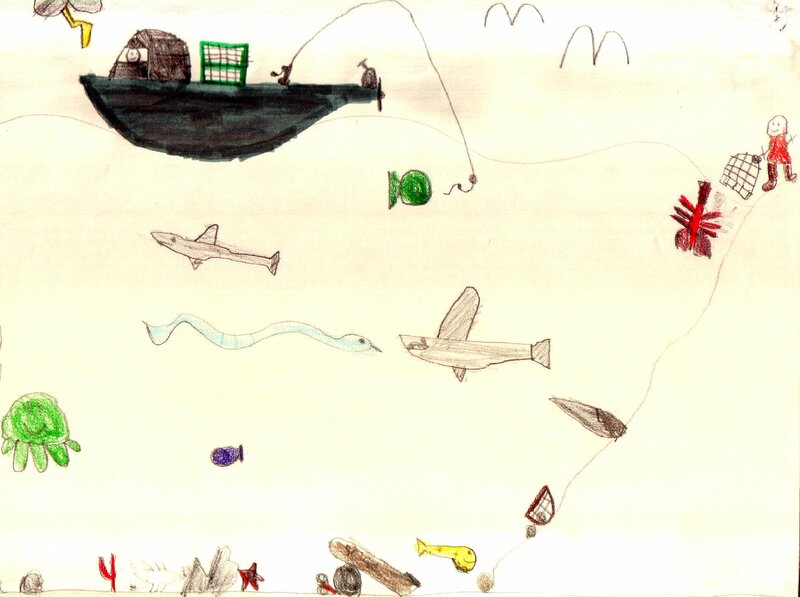 That is quite the assortment of sea creatures sharing the ocean with the giant lobster that you’ve drawn! I also like the fisherman steering from the cozy cubby of the lobster boat as she drives into a rainstorm. It looks like the one on shore is wearing an orange life jacket. Safety first!